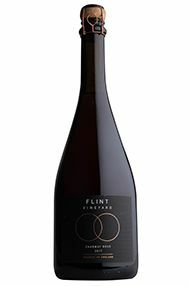 Nestled in the sunny and sheltered Waveney Valley in Norfolk, Flint Vineyard is named after the stony soil on which it is planted. Its owners, husband and wife Ben and Hannah Witchell, have always had a passion for wine. In 2007 they decided to pursue this passion by leaving their jobs behind and traveling the winemaking world. 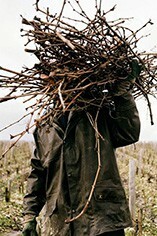 On their return, Ben gained a first-class degree in Oenology and Viticulture at Plumpton College and spent three years in Beaujolais as an assistant winemaker. Since then, they have returned to their Norfolk roots making their own wine from some of the finest sites in England. South Norfolk is one of the driest and sunniest regions, with free-draining gravel and flint soil. It is here, having studied and practiced the meticulous art of winemaking, that Ben has learnt to throw out the rule book. His wines are created in small lots blending tradition with innovation and creativity. 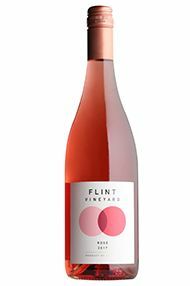 This bold and bright pink ros is bursting with ripe strawberry, watermelon and pink grapefruit, balanced by lively acidity and fine texture. This wine is the perfect apritif, but would be perfect with Norfolk dressed crab or other seafood dishes.